This guide takes an in-depth look at how to play Lúcio in Overwatch. We look at the strengths and weaknesses of the hero, and we go over mechanics, recommended strategies, and things to beware of. The guide has been written based on our extensive experience playing the game since before the Closed Beta began, and it relies on our decades-long FPS experience. That said, our aim is to keep the guide relatively brief and easy to understand, making it accessible to veterans and new players alike. This guide has been reviewed and approved by KabaL, Counter Strike Legend and support player for Melty Esport Club Overwatch, one of the best teams in Europe. In this section, we will briefly go over the main strategies you should employ as Lucio. 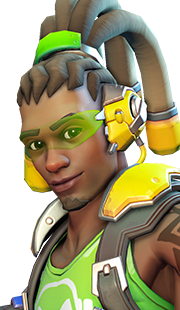 We will begin with an Overview, and then we will go in depth more about each ability that Lucio has. Lucio is the only healer in Overwatch capable of healing multiple targets at one time (not counting Soldier: 76's limited use of Biotic Field). This makes him a very valuable asset to any team in most situations. Lucio's healing aura does not work on targets who are not in his line of sight, or out side of a 30-meter radius around Lúcio. Coupled with the fact that Lúcio can do reasonable damage with his gun while the healing aura is active, this all means that you have many reasons to be in the middle of the action for as long as possible. The result of this central position that Lúcio must take during battles is that he is very often targeted by the enemy team. Lúcio's Sound Wave knockback and Wall Ride grant him some means to keep enemies at bay, but in general, life as Lúcio against competent players will be difficult. Lucio can also help his team with Crossfade (Speed Boost). 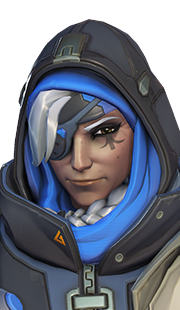 In particular, this can get the team back to the point or Payload quicker after dying, or it can allow players to avoid abilities that would otherwise have caught them off guard (specifically, getting out of the way of things like Hanzo's Dragonstrike, Mei's Blizzard, or out of line of sight of heroes like Soldier: 76 or McCree when they have their ultimates active). 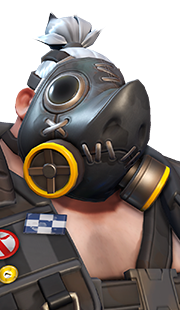 You also have access to the extremely powerful Sound Barrier ultimate, which you will use to protect the team from high bursts of damage. Using this ability, as we will see below, can be difficult, as it relies on very precise timing and it requires your teammates to be close to you. 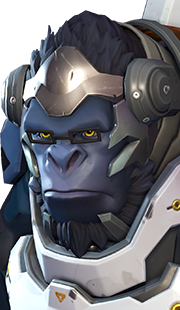 Therefore, as Lúcio, you will spend most of your time in the middle of the action, in range and line of sight of as many of your allies as possible, having your Crossfade (Healing Boost) aura active, dealing damage with your weapon, all while doing your best to stay alive through the enemy fire. Lucio's gun is not very easy to use, but its damage potential is high. The gun fires in bursts of 4 projectiles. These projectiles have no trajectory drop-off (they fly in a straight line indefinitely), but they do have travel time. Hitting moving enemies with primary fire is difficult, especially outside of close range. Doing so requires that you attempt to anticipate the movement of the target and fire ahead of where they are going. This takes some practice, but once you have understood the principle, you will find that you can still land a decent amount of shots. Against stationary targets, Lúcio's gun is quite effective. The damage that it deals is good, and the gun is extremely precise. Moreover, the gun does very well in close range. At this range, you can also use your alternate fire ( Sound Wave) to knock players back up against walls or other obstacles. This causes them to be stuck for a very short amount of time, which in turn makes it easier for you to hit them with your primary fire. Finally, as you often fight in melee range, you should remember to make ample use of your melee attack. 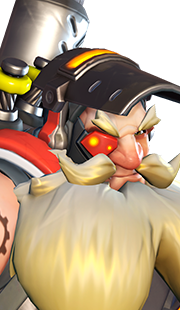 These factors combined, coupled with the passive healing Lúcio receives from his Crossfade (Healing Boost), make him a strong close-range brawler able to dish out high amounts of damage while remaining relatively difficult to kill. 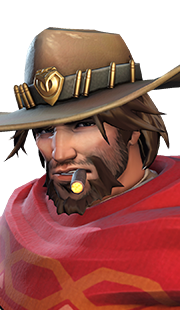 Beware, though, that there are several heroes in Overwatch who will completely destroy you in melee range (McCree, Reaper, Tracer, Winston, even Symmetra), so make sure to stay in the relative safety of your team when these enemies are present. In general, there is never a reason for you not to be using your primary fire. Your Crossfade (Healing Boost) aura acts passively even while you attack, so there really is no drawback whatsoever to firing your gun constantly. Even if you miss a great majority of your shots, this is not a problem. Create a short range blast wave to knock enemies away from you. Sound Wave is a very useful ability that you should use as often as possible. The ability has three important uses. First of all, it can be used, as mentioned above, to push players up against walls making them easier to hit with your primary fire (as well as generally disrupting their movement). This should be the default usage of the ability whenever one of the following two situations are not present. Second of all, Sound Wave is very useful for disrupting enemy players who are performing actions that are particularly dangerous to you or your teammates. Generally, this means knocking back enemy damage dealers who have gotten in the middle of your team. Pushing back a Genji during Dragonblade can buy you an extra second or two to kill him. 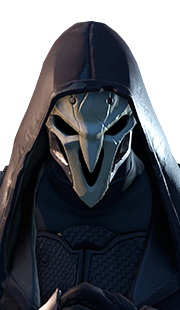 Knocking back Reaper from the rest of your team can save their lives (particularly if he is casting Death Blossom) and give them a chance to kill him, although this does put you in harm's way and can get you killed. Furthermore, any time you knock back an enemy hero who has approached your team, it offsets their positioning, confusing them, all of which benefits you and your team. Third of all, Sound Wave can be used to knock enemy heroes off maps. 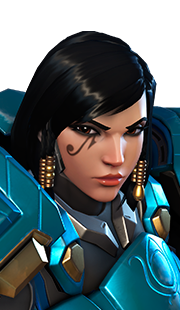 All Overwatch maps with the exception of Temple of Anubis contain multiple areas where players can fall off the map. 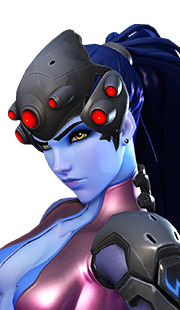 A player who falls off the map is practically guaranteed to die, unless they have a quick and reliable means to get back up (Widowmaker's Grappling Hook, for example). This is an easy way to get kills on full-health heroes that you could not otherwise have hoped to take down. This final technique requires practice, and it is not always possible given the specific positioning required. That said, some areas of certain maps are more suited to it than others. 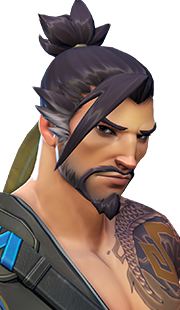 For example, 2 of the 3 sub-areas of Lijiang Tower provide excellent opportunities for Lúcio players who knock enemies off the map in close proximity to the points. We do not suggest that you sacrifice other areas of your gameplay to achieve this, but you should always keep it in mind and look to get these free kills whenever possible. Switches between two songs. Healing Boost heals nearby allies. Speed Boost makes nearby allies move faster. 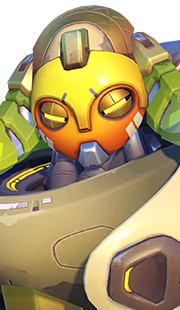 Crossfade is an ability that allows Lúcio to switch between two mutually exclusive auras, one of which Lúcio always has active. Crossfade (Healing Boost) heals allies around Lúcio, while Crossfade (Speed Boost) increases the movement speed of allies around him. Lucio can freely switch between the two auras without any cooldown or other cost, and he is always affected by the aura that he has active. It is worth pointing out that in the Control options, you can enable a "Hold to Crossfade" option, allowing you to have Crossfade (Healing Boost) on by default, while holding down Left Shift will switch to Crossfade (Speed Boost) for the duration. This is purely a matter of preference. Lucio's Crossfade (Healing Boost) aura is his signature ability. As we have mentioned already, Lúcio must be within 30 meters of an ally and within line of sight of them for the aura to affect them. 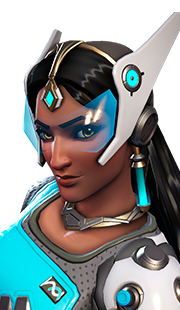 The aura heals any affected allies (including Lúcio, who is always affected by it while it is active) for 12 health every second. While there are several uses for the Crossfade (Speed Boost) aura, as we discuss below, Crossfade (Healing Boost) is the aura which Lúcio should be using the majority of the time. The aura itself is passive, but you must be very careful with your positioning to make the best of it. You must always make an effort to be in range and line of sight of your damaged teammates, but you also have to keep your own safety in mind. Moving to cover or retreating for a brief moment in order to survive is preferable than staying out in the open and dying, since your aura dies with you. Moreover, though, making proper use of the healing aura requires that your team understands how it works and makes an effort to stay around you. You may need to use voice chat to ask teammates to stick together in order to be able to heal them. Sometimes, however, Lúcio is not a good choice and you should consider switching to a different hero. 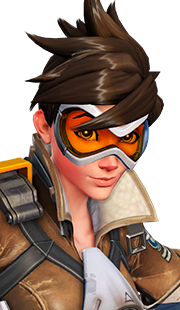 For example, if your team has many heroes that, by definition, are constantly diving behind enemy lines or staying out of the fight (Tracer, Genji, Reaper, Hanzo, Widowmaker), you will find it very difficult to perform your duties. Running away from the front line and using Wall Ride to climb up to Widowmaker only to be able to heal her up is not at all an efficient use of your time. 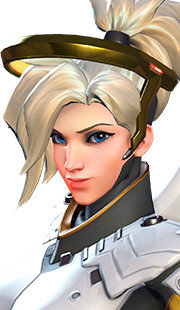 In such cases, picking Mercy would be a much better idea, as she is suited to following players around and quickly moving between teammates. Makes nearby allies move faster. While you should spend most of your time in Crossfade (Healing Boost), there are times when Crossfade (Speed Boost) is preferable. We list them below. At the start of each round, you should use Crossfade (Speed Boost) to get your team to the objective quicker. Each time you respawn, you should use Crossfade (Speed Boost). If other teammates died at the same time as you or shortly after you, you should wait for them to respawn so you can run back together and so everyone can benefit from the aura. When everyone is at full health, it is better to have Crossfade (Speed Boost) active. When the enemies are using deadly abilities that you and your teammates want to avoid, you should quickly switch to Crossfade (Speed Boost). 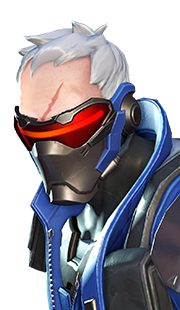 Examples include the ultimates of Hanzo, Mei, Soldier: 76, McCree, or Pharah. Increases the effectiveness of your current song. Amp It Up allows Lúcio to greatly increase the potency of his active Crossfade aura for 3 seconds. 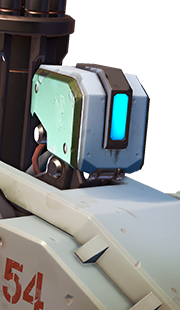 This results in 40 healing per second to all affected teammates in the case of Crossfade (Healing Boost), and very high movement speed in the case of Crossfade (Speed Boost). You can switch freely between auras while Amp It Up is active, and your active aura will benefit from its effects. Amp It Up is Lúcio's way of boosting his existing aura when the situation calls for it. 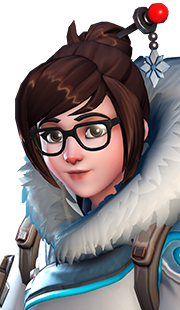 In general, you want to make use of Amp It Up as many times as possible throughout a game, but this does not mean you should just use it on cooldown. For example, you should only use Amp It Up with your healing aura when the healing boost is needed. So, if everyone is at or near full health, there is little reason to use it, and instead you should save it for when the enemy team makes a bigger play. 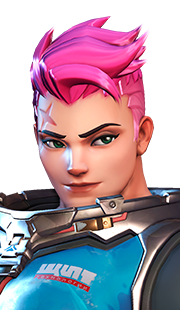 Likewise, if your team repelled the enemy and killed them, even if your teammates' health is low, there is no reason for you to push for more healing with Amp It Up (although, there is little reason not to, either, considering its fairly low cooldown, so you might as well do it to give everyone more time to move around after being healed). There are several powerful uses for Amp It Up together with Crossfade (Speed Boost). For example, you can use it to help several teammates initiate team fights by moving into position much faster than the enemies expect. 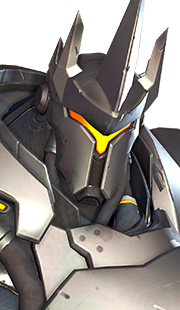 This can be done for ultimate usage, such as Reinhardt's Earthshatter or McCree's Deadeye, or it can be used to move a McCree into position to Flashbang an enemy Reinhardt. Another advanced usage of Amp It Up with Crossfade (Speed Boost) is to bait out powerful ultimates for the other team. Activate Amp It Up, have your team run up to the other team's position, and 1 or 2 seconds later, run back. 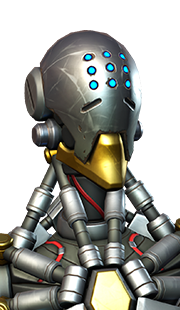 If done right, this can scare the enemy team into using ultimates such as Zenyatta's Transcendence only to have them wasted. Yet another crucial usage is for the combo to allow your team to retreat if you feel that the enemies are too prepared. 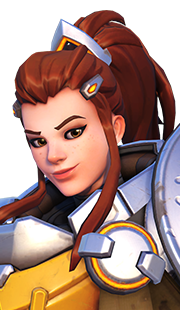 For example, if the enemy team charges in and begins using ultimates, you can activate the combo and have your team run out, allowing you to survive and possibly causing the enemies to waste some ultimates. Needless to say, this is somewhat advanced, as it requires good voice communication from your team. Moreover, the combination is typically done when you are leaving the spawn. Your entire team is at full health at this time, and Amp It Up will cool down by the time you get into the action, so you should make a habit of doing this. Wall Ride is a passive ability that allows Lúcio to ride along walls and other objects. Effectively, if you jump onto a vertical object, move forward, and hold down your jump button, Lúcio will glide forward on that object for a while, as opposed to simply falling to the ground. Wall Riding serves several purposes for Lúcio. The best use of Wall Ride is allowing Lúcio to make a quick escape (by using an unpredictable path) or a surprising appearance in a fight, which would not have been possible without Wall-Ride. For example, using it to wrap around enemies by climbing over a wall only to knock them off the map with Sound Wave (or simply damage them) is not uncommon, and it can be a good strategy. Wall Ride can sometimes also be useful in saving Lúcio from a falling death by allowing him to climb up a wall after having fallen off the map. The other uses of Wall Ride are less impactful. For example, it allows Lúcio to access areas of maps that he could not normally reach, or which he would take much longer to get to. This can be useful in some cases, but the examples of areas and maps where this is truly beneficial are few. Climbing up to strange locations using Wall Ride can be clunky, and taking too long to do so can make you vulnerable. 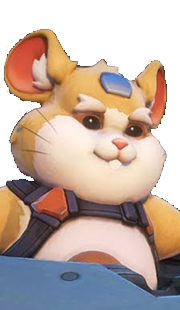 Moreover, since Lúcio's team benefits from having him in close proximity and line of sight of his teammates, moving to high ledges goes against Lúcio's playstyle. Another benefit of Wall Ride is that it allows Lúcio's movement to be more unpredictable, which makes him a more difficult target to hit for his enemies. Again, this is not something that provides a massive benefit, but it can sometimes make a difference. Overall, we do not feel that Wall Ride is a particularly strong ability, and it is not something that is core to Lúcio's kit. But, since it can have its uses, you are encouraged to practice it and learn where Lúcio can and cannot Wall Ride. Create a temporary shield for nearby allies. Sound Barrier is an extremely powerful ultimate. 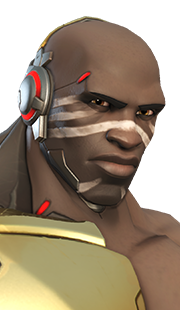 When used, it grants a 6-second, 500-damage shield to any allies that are within a small radius around Lúcio and in his line of sight. The shield decays over the 6-second duration, losing 100 health every second. Sound Barrier is useful for granting virtual invulnerability to the team for a few seconds. 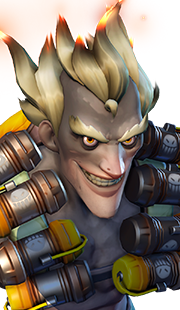 During the initial seconds of the cast, affected players will have so much health that they can survive almost everything that comes their way (a direct hit from Junkrat's RIP-Tire deals 600 damage, meaning that most players can survive it within the first couple of seconds). We say virtual invulnerability, because it is still possible to die to combinations of abilities, or if players were already low on health when Sound Barrier was cast. A good use for Sound Barrier, therefore, is to counter high-damage abilities from the enemy team. Using it effectively will require a lot of practice and good situational awareness. Moreover, it requires that your team is in your line of sight and range. Sometimes, audio warnings will help you make good use of Sound Barrier. 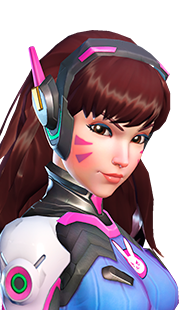 For example, if you hear Soldier: 76, Hanzo, Junkrat, or D.Va using their ultimate abilities, you can time Sound Barrier to save your team. You do not always have to save Sound Barrier to counter enemy ultimates, though. Sometimes, it is better to use it even against normal enemy abilities or fire, if it means saving the lives of your teammates. 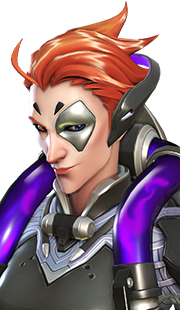 Another good use for Sound Barrier is to pair it with Crossfade (Healing Boost) + Amp It Up to initiate team fights. 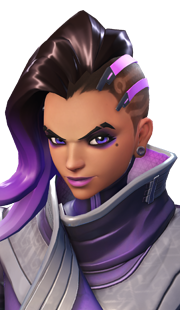 This technique requires some team communication and coordination, but the result is that your entire team will very quickly rush the opponents, all while being practically invulnerable, which is an excellent way to storm an objective. 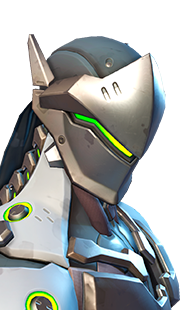 Finally, it is important to note that, given the strength of Genji's Dragonblade ultimate and given how fragile he is, using Sound Barrier to protect a Genji with Dragonblade active who is diving into the enemy team is viable even if no other teammates benefit from the Sound Barrier. Overall, we recommend saving Sound Barrier for as long as necessary, until you can make good use of it. Wasting it on a sub-optimal opportunity is generally not worth it, so if you have to wait for a couple of minutes to find a good usage, do not hesitate to do so. 02 Jun. 2016: Added mention that you can enable Hold to Crossfade in the Control options. 23 May 2016: Reworded the Wall Climb section to account for some other uses and give an overall less negative view of it. 17 May 2016: Made several updates following KabaL's review. Removed a Weakness that claimed Lúcio has no escape mechanism, since Amp It Up + Crossfade (Speed Boost) counts as one. Changed the wording of the power of Lúcio's weapon damage slightly, since it is not quite as powerful as we had written. Added several Amp It Up + Crossfade (Speed Boost) tactics. Added more details to the Sound Barrier section. 29 Apr. 2016: Guide added.